Sometimes life gives you lemons... so ditch the fruit and get a chocolate milk. : Alaska Bound! So excited to be on my way to Alaska to visit some great friends today! And a small milestone here since I'm traveling completely by myself. Makes me feel the need to be super aware. My flight out of Nashville was already delayed by an hour which changed my whole day of flights. Thankfully they change them for me except the fourth flight. My four flights became three pretty fast. Fine with me- longer layover means getting to eat AND go to the bathroom on the ground, both of which I am very fond of. Now as I sit through a three and a half hour layover, American Airlines call to inform me that my flight has once again... been delayed (insert sigh). Another two hours in Dallas/Fort Worth airport. If I had known, I would be tempted to actually see Dallas. 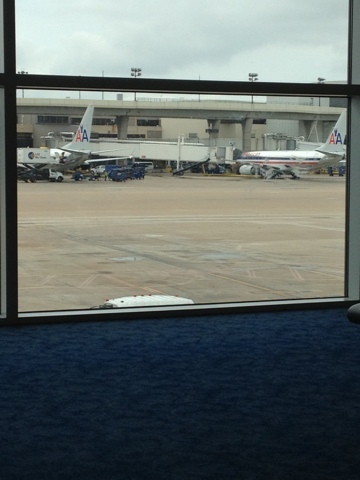 So my options are to people watch (which is always entertaining) or ride the skyline around to all the other terminals. I've already done some of both but I'm thinking I might start to look like the people that live on subways if I ride the shuttle too long, and then that ideas becomes less appealing. Anyways, I'm so excited about Alaska and seeing another (completely different) part of the US. I think at this point I will be arriving around 1:30 am Nashville time. Doubtful that the James' are getting me at my best (or even close for that matter).